To accompany the above datasets, OceanWise has created Marine Themes DEM, a seabed digital elevation model (DEM) at 1 and 6 arc seconds utilising single and multi-beam hydrographic survey data from the UK Hydrographic Office and other agencies. Data derived from Electronic Navigational Charts (ENCs) is used to provide additional coverage. OceanWise Marine Themes DEM offers the following key advantages: 1)Survey data modelled to create an accurate and seamless surface of the seabed 2)Coverage data describing the source data used to create the DEM in any given area 3)Advanced de-confliction methodology improving continuity between adjacent surveys 4)Height and slope attributed coastline increasing accuracy within the coastal zone 5)Improved interpolation algorithm providing more natural shape (i.e. no flat triangles) 6)Ongoing maintenance schedule to ensure the latest survey data is incorporated 7)Already exceptional value, DEM image files in GeoTIFF (or ECW) format deliver even greater cost savings for many applications including Web GIS. 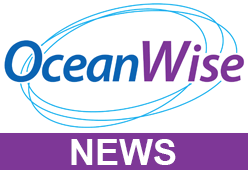 In addition to the DEM, OceanWise distributors can provide access to the actual survey data (i.e. soundings) used in the DEM creation. A GIS compatible data file showing all available surveys is available on request. Please contact OceanWise’ online distributors – FIND Mapping and emapsite.com for further details and a quotation.